The 2017 Volkswagen Golf lives by the brand’s philosophy to give more: more cargo space, more refined cabin trimmings — at every turn, there’s something you wouldn’t expect. Equipped with a 1.8T four-cylinder TSI® that cranks out 170-horsepower while maintaining 36 mpg on the highway, this VW is as dynamic as you are. 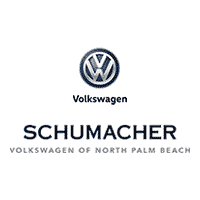 In fact, there’s no more appealing way to see the best of North Palm Beach, Florida, than in a new VW Golf.